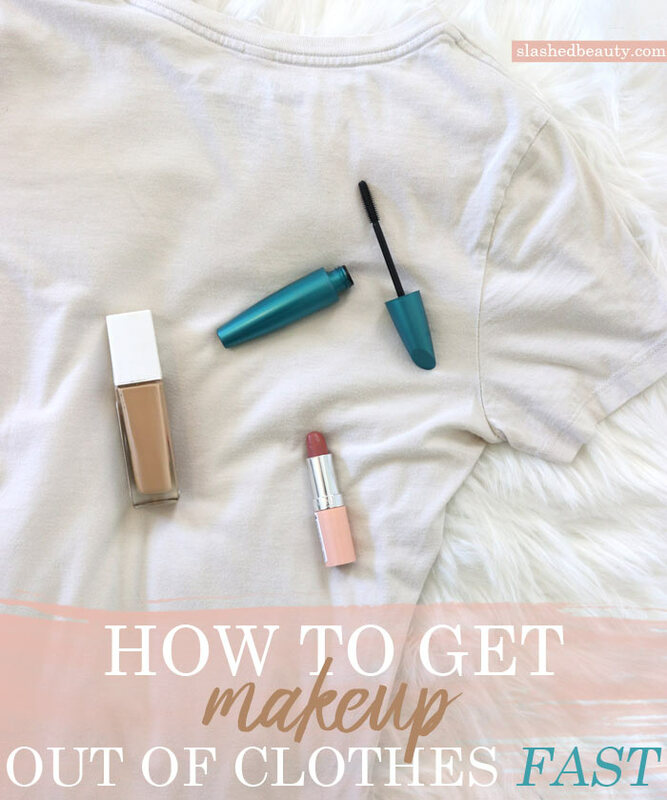 I always do my makeup in a robe (or my PJs) to avoid makeup accidentally falling onto my outfit of the day, but that doesn’t mean I’m out of the woods once I’m done with my finishing touches. I can’t count how many times I’ve been getting dressed after my makeup is done, just to get foundation or lipstick around the neck of my outfit. It’s so frustrating! There are times I just change my entire outfit choice because of makeup stains, but other times I have no choice but to try a quick fix. 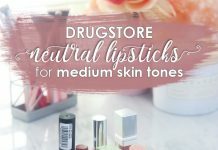 I’ve tried several ways to get makeup out of clothes fast without washing them, and these are what have worked best for me. I highly suggest doing a small patch test on an inconspicuous area of the clothing before going in on the stain. Materials may react differently to these products, and you don’t want to make anything worse if you need to wear the outfit ASAP without washing it first. Also, try to blot out any excess makeup first with a paper towel or tissue. Before & after using micellar water to get makeup out of clothes. A staple in many skin care routines, micellar water can do more than just cleanse the face! Because of the molecules in the formula, micellar water is able to dissolve and absorb oily makeup marks on some clothes, too. Apply the micellar water onto a cotton pad as usual, and start by blotting the stain. Once the stain starts fading, start lightly swiping to pick up the rest of the residue left on the fabric. I use the Garnier SkinActive Micellar Water for this and it works like a charm! Before & after using makeup wipes to get makeup out of clothes. 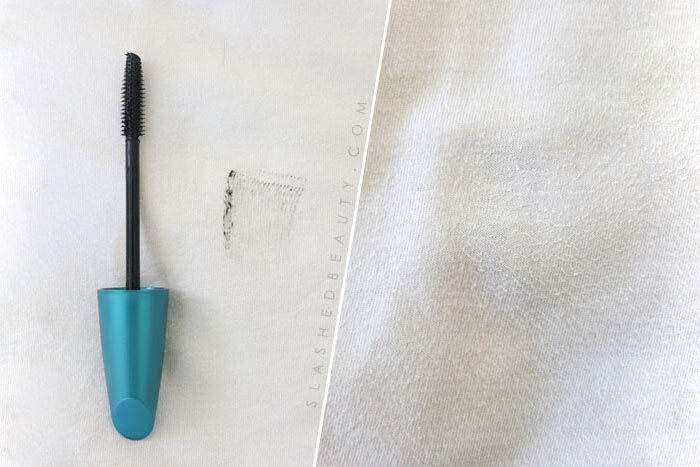 They’re designed to take makeup off your face, but they work well on some fabrics, as well. You’ll want to make sure the wipes are oil-free, so they don’t create a new type of stain on your clothes. Dab first, then swipe gently for the makeup to fade away. 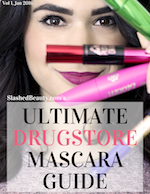 I used the Neutrogena wipes for the above stain and no mascara was left behind. Before & after using a magic eraser sponge to get makeup out of clothes. Magic erasers are amazing for cleaning the house, but I often use them on clothes as well. Usually, they’re my go-to for making white shoes sparkly again, but they also work well to get foundation out of clothes. Dampen your magic eraser sponge and squeeze out as much excess water as possible. 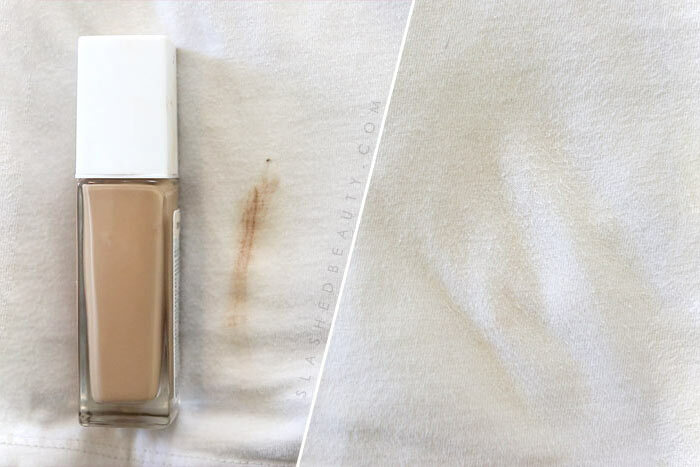 Lightly rub at the stain, and makeup should start to fade away quickly. The above stain was pretty darn stubborn, but you can see that the magic eraser took care of 98% of it! I use a generic brand of magic erasers— they’re pretty much the same as the Mr. Clean versions but way cheaper. 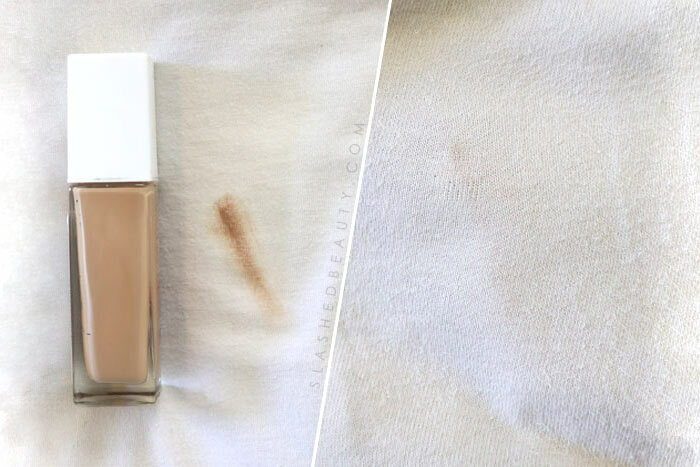 Just like any other common stains, it’s easiest to remove makeup from clothes quickly after the stain happens. These hacks are meant for drier stains or small amounts of residue– not wet spills. Of course, treating heavy duty stains with pre-wash stain remover and running them through the laundry is always best… it just doesn’t always align with our plans. If you need to wear your outfit right away without washing it, you’ll probably want to use a blow dryer on the damp spot these products leave behind. After that, it’ll be ready to wear right away. 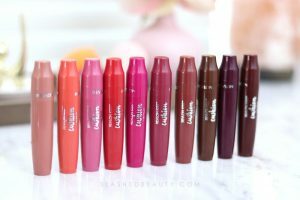 Have you tried other ways to get makeup from clothes? Share your tips in the comments! Previous articleShould You Clean Your Makeup Sponge in the Microwave?